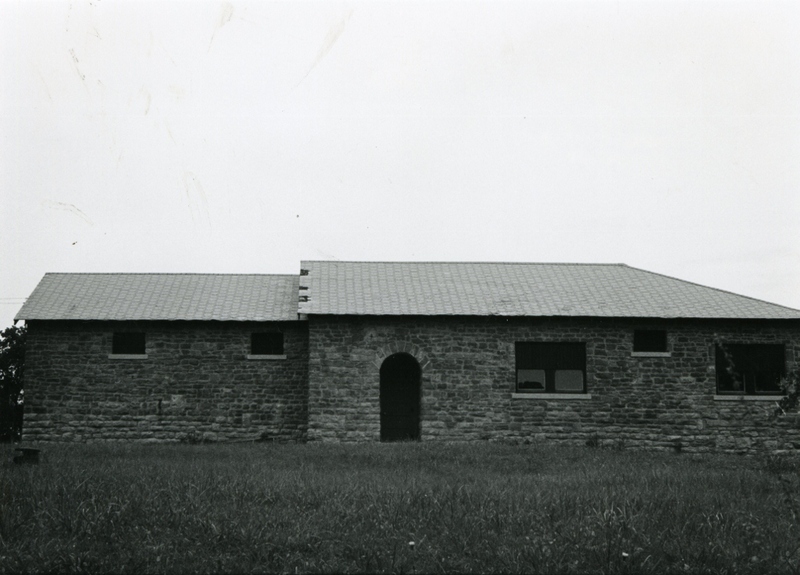 The old Linn School is a single-story, rectangular (76′ x 30′) structure constructed of rusticated and coursed native sandstone. The roof, with one step, is both hipped and gabled. The entryways are recessed behind arches, while classroom window openings, with pre-formed concrete sills, rise to the eaves. The top one-half of the latter have been covered wtih wood sun shields. The window alterations, however, have not impeached the architectural integrity of the building. 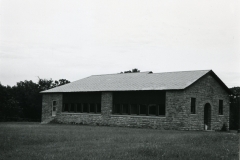 The combination hipped and gabled roof line of the Linn School building make the structure somewhat unique as a WPA building. 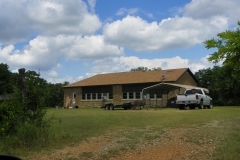 Within the community the entire facility is notable for its type, style, materials and workmanship. Built by an unskilled labor force that was made up of laborers left unemployed by the economic depression of the 1930s, the school surely provided an atmosphere conducive to learning and permitted destitute workers to regain some self-esteem and a small measure of economic security. 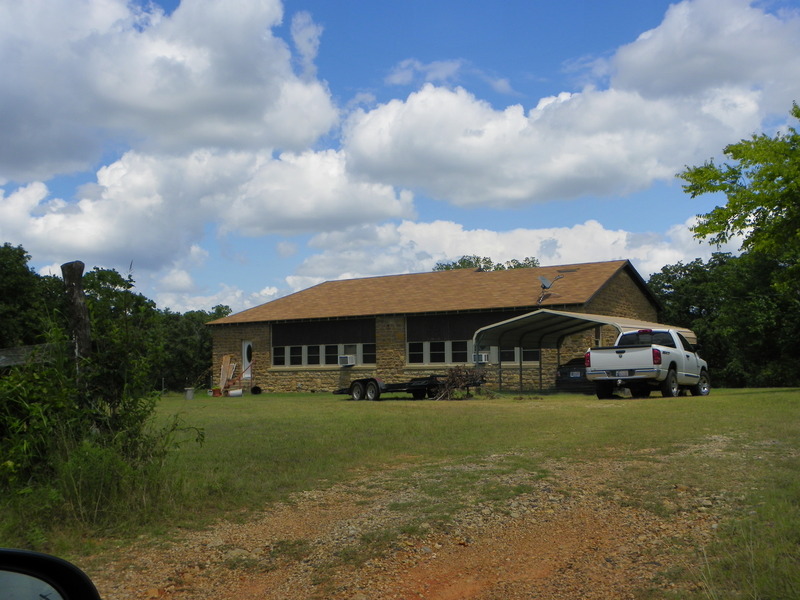 VERBAL BOUNDARY DESCRIPTION: Go northeast of Madill two and one-half miles on State Highway No. 99 to paved county road and turn east going six miles to unpaved county road and then northeast one mile to property that begins 650 feet east of the SW corner of NE 1/4 of Sec. 13, T 5 S, R 6 E and goes south 300 feet, east 208 feet, north 300 feet and west 208 feet.